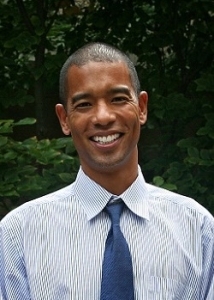 Dr. Michael Lukela, studied at Duke University earning his Bachelor of Science degree in Biology with a concentration in Biochemistry in 1994. He subsequently earned his Doctor of Medicine degree from Harvard Medical School in 1998. Dr. Lukela completed his residency training at the University of Michigan in the combined Internal Medicine-Pediatrics Residency Program (2002), followed by a year as a Chief Resident in the Department of Pediatrics. Following graduation, he joined the faculty at the University of Michigan with joint appointments in the Department of Internal Medicine and Department of Pediatrics. Dr. Lukela served as the Assistant/Associate Director of the Medicine-Pediatrics Residency Program from 2003-07 and was appointed Director in 2007. He is currently an Associate Professor of Internal Medicine and Pediatrics at the University of Michigan. He served as President of the Medicine-Pediatrics Program Director Association (MPPDA) from 2012-13 and is serving his final year on the MPPDA Executive Committee (2011-2015). As a complement to his roles in MPPDA, Dr. Lukela is active in Graduate and Undergraduate Medical Education with an interest in educational assessment. He is the Director of the M2 Clinical Comprehensive Assessment (M2 CCA), a clinical skills examination developed to assess student proficiency prior to entering clinical clerkships. He is an active member of the Society of Hospital Medicine (SHM) serving on the Education Committee (subcommittees on Core Competencies and Internal Medicine Redesign) and Editorial Group for Maintenance of Certification Board Examination Preparation and will begin serving on the American Board of Pediatrics (ABP) General Pediatrics Examination Committee in 2015.